The Central Bank of Iran (CBI) announced today that Babak Zanjani, the notorious “sanctions broker” involved in the “private” sale of Iranian crude oil in the black market, has not returned any of the sales proceeds to the oil ministry’s account at CBI, Fars News Agency reported today. The central bank had said Zanjani owes the oil ministry billions of dollars. Zanjani had told reporters last week that he has repaid all that he owed. Zanjani had become a successful “sanctions broker,” or what President Rouhani today called “sanctions profiteer.” He is the owner of a private company that had received huge allotment of Iranian crude oil to sell in the black market for cash. His company is believed to have close ties with the IRGC, who had received the original export permit from the oil ministry. Rouhani today ordered an immediate investigation into sanctions profiteering. He said those who have taken advantage of special (anti-sanctions) concessions and privileges to enrich themselves would be identified and punished. Zanjani has also been implicated in “gas-for-gold” scheme in Turkey. 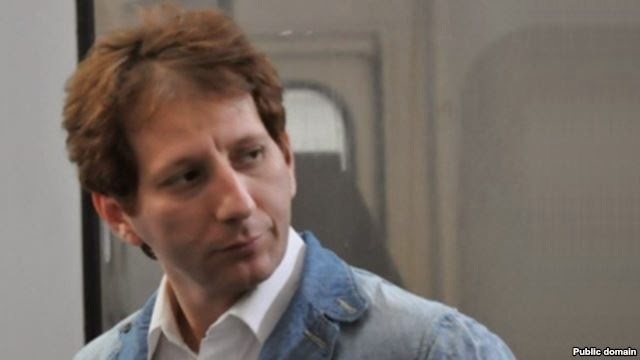 Reza Zarrab, the Iranian sanctions broker who was arrested in Istanbul last week, has told Turkish authorities that Zanjani was his “boss” and contact in Tehran. To read about Rouhani’s order, please click here. Poor zanjani, he's about to learn what happens to you when you do business with the mafia, I.e. the despicable terrorist thief regime run by khamenei and his underlings. P.s. mr uskowi you should know that poor mr. Zanjani was reportedly the person who humiliated larijani and his family in that Ahmadinejad video tape. Please don't confuse a mafia regime's internal vendettas for justice, and again let this be a lesson for anyone who thinks anything good comes from doing business with or helping the regime in any way. I bet they are exposing and punishing him for not giving his companions in crime their fair share. Right on the Money 7:18! If one digs alittle deeper they will find that this rotten regime sometimes back one another up other times they are at each others throats like Hyenas. Crook this man may be but we need people like him at this difficult time when the country is being strangled under the sanction. He is a better crook than those crooks who run away with the stolen money, living a luxury life in the west. All that $ dough and still wearing a cheap wig FFS! Haa!!! You should add............to dispose him later. Not comfortable with word 'disposal', 'correction' is a better term. why DRAG the IRGC into this rubbish?-do you think this Organization is a Gang of thieves ? surely you have nothing between your ears!. they are part of the plot maaaaaaaaaaaaaaaaaan! good reply Adam ya man ganja man!